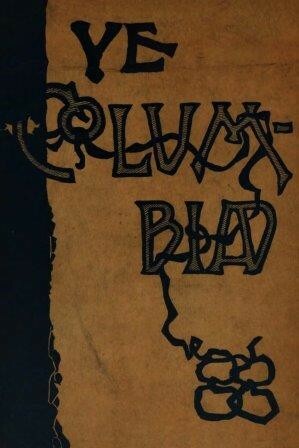 Early volumes of the yearbooks from Columbia College, The Columbiad and The Columbiad, have been scanned and are available online. The School of Mines published its own yearbook, The Miner (and later, The Engineer). 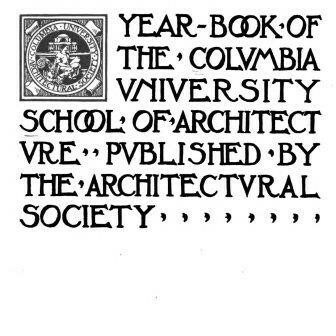 The Columbia University Architectural Society used to publish a yearbook of sorts, which included student work. A numer of these Architectural Annuals have been scanned and are available online. Class of 1871: The History of the Class of Seventy-One of Columbia College during its Undergraduate Career. Class of 1874: History of the Class of Seventy-Four. Columbia College. A History of the Class of Eighteen hundred and Eighty-Three of Columbia College. Edited by A.V. Williams Jackson, Arts, and Robert Peele, Mines. Privately Printed for the Class. New York: Irving Press, 1911. A History of the Class of Eighteen hundred and Eighty-Three of Columbia College Comprising the Years 1908-1923. Edited by A.V. Williams Jackson, Arts, and J. Parke Channing, Mines. Privately printed. New York, 1923. Class of 1900: The naughty-Naughtian: being the book of the class of 1900, in Columbia College and containing besides the pictures and autobiographies of the members several letters from the faculty, the president's address, the history, the poem, the prophecy, the valedictory, the yew-tree oration, and the statistics together with other matter of interest to the Class of 1900. The Nineteen hundred & Three Class Book: A Record of the Senior Class of Columbia College. Published by the Class in June Nineteen Hundred and Three. Decennial Records of the Class of 1903. Columbia University in the City of New York. New York: Douglas C. McMurtie, 1914. Class of 1907: History of the Class of Nineteen Hundred and Seven Columbia College, Volume One. Class of 1908: The Nineteen hundred & Eight Class Book: A Record of the Senior Class of Columbia College. Published by the Class in May Nineteen Hundred & Eight. 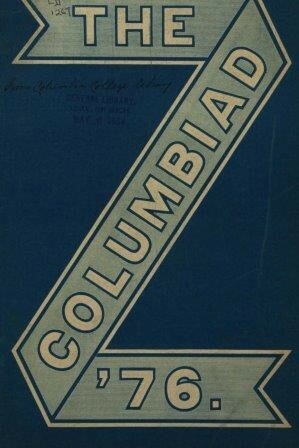 Class of 1914: A History of the Columbia College Class of Nineteen Hundred Fourteen, Volume 1: Senior Year Book. Class of 1918: Columbia College Senior Year Book Nineteen Eighteen.